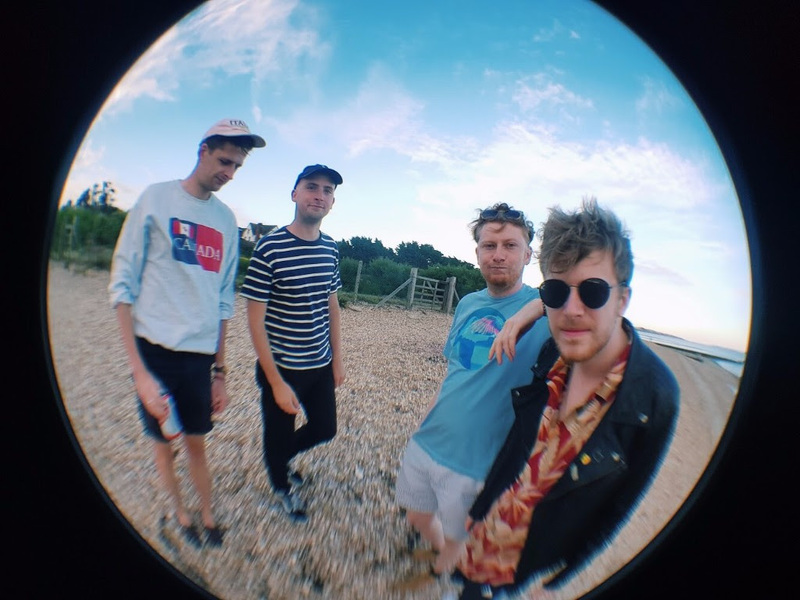 South Coast quartet Sad Palace unveil the video to latest single, Melody Crux, released earlier this month via Kissability. Basic shapes and bold colours offer a sleek insight into Sad Palaces vision, cold artistic precision matching the groups acclaimed glacial sound. Brimful of grooving attitude, the single is a continuation of the icy pop Sad Palace have already made their name with, just three sharp releases into their career. Fizzing organs and piercing alt.rock guitars sit atop jazzy breaks, delivered seamlessly by the rhythm section, whilst imperious vocals deliver commanding hooks, breaking at times into infectious falsetto. Sad Palace’s previous single Frostbeat was released on limited edition tape as part of International Cassette Store Day earlier this year, a move echoing their sonic combination of retro and contemporary influences. With online acclaim building, invites to perform at the exclusive Sofar Sounds sessions and another glacial diamon under their belt, Sad Palace look set to break beyond their small town constraints, possessing the creativity and ambition to level-up to national indie stalwarts.